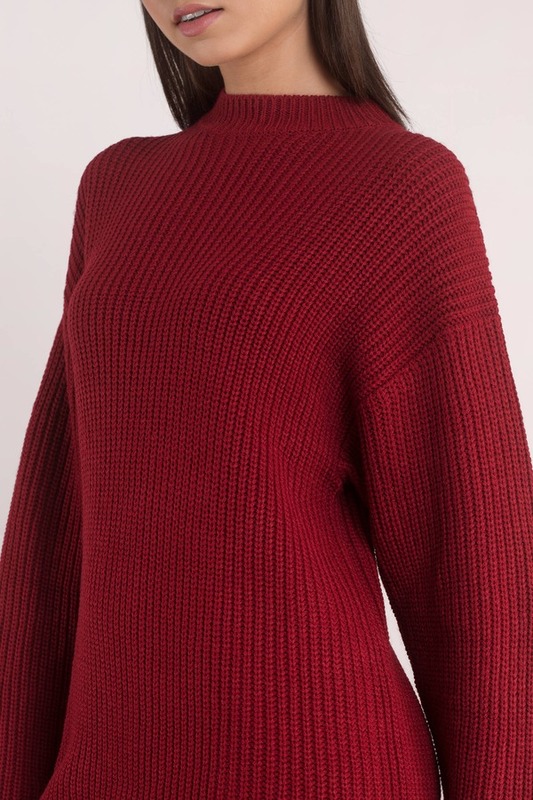 Check out Tobi's Just For Comfort Sweater Dress Sweater weather? Bring it on. We can't wait to wear the Taupe Just For Comfort Sweater Dress, which has a chic mock neck, dropped shoulders, and a high low hem with small side slits for added sass. Your every lazy Sunday from now until April is basically sorted. Pair this warm knit sweater with your fave pair of booties. Sweater weather? Bring it on. 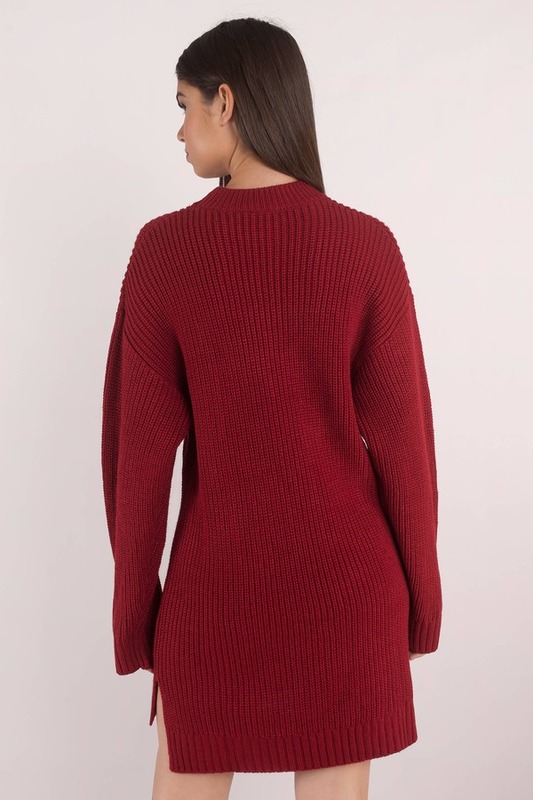 We can't wait to wear the Red Just For Comfort Sweater Dress, which has a chic mock neck, dropped shoulders, and a high low hem with small side slits for added sass. Your every lazy Sunday from now until April is basically sorted. Pair this warm knit sweater with your fave pair of booties. Sweater weather? Bring it on. We can't wait to wear the Taupe Just For Comfort Sweater Dress, which has a chic mock neck, dropped shoulders, and a high low hem with small side slits for added sass. Your every lazy Sunday from now until April is basically sorted. Pair this warm knit sweater with your fave pair of booties. Sweater weather? Bring it on. We can't wait to wear the Black Just For Comfort Sweater Dress, which has a chic mock neck, dropped shoulders, and a high low hem with small side slits for added sass. Your every lazy Sunday from now until April is basically sorted. Pair this warm knit sweater with your fave pair of booties.